I studied him in art history classes in college. 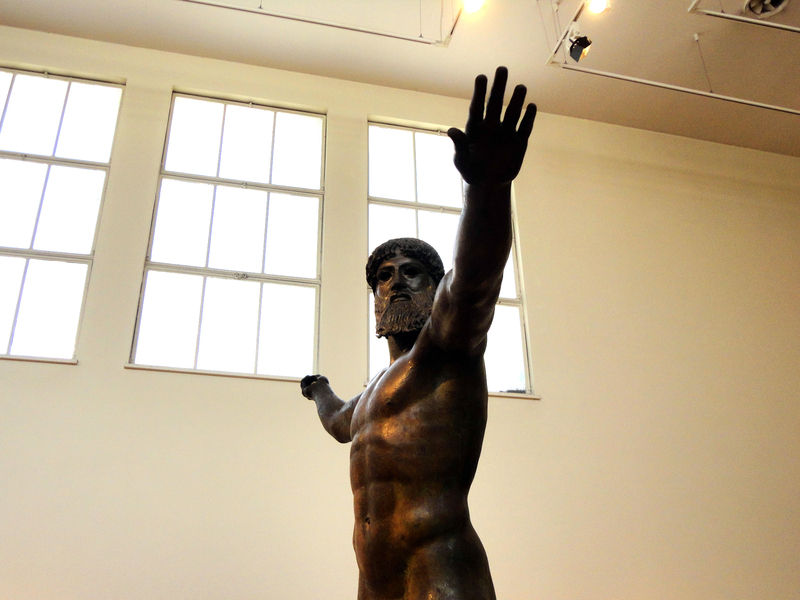 He is an original bronze Greek statue that was pulled from a shipwreck. 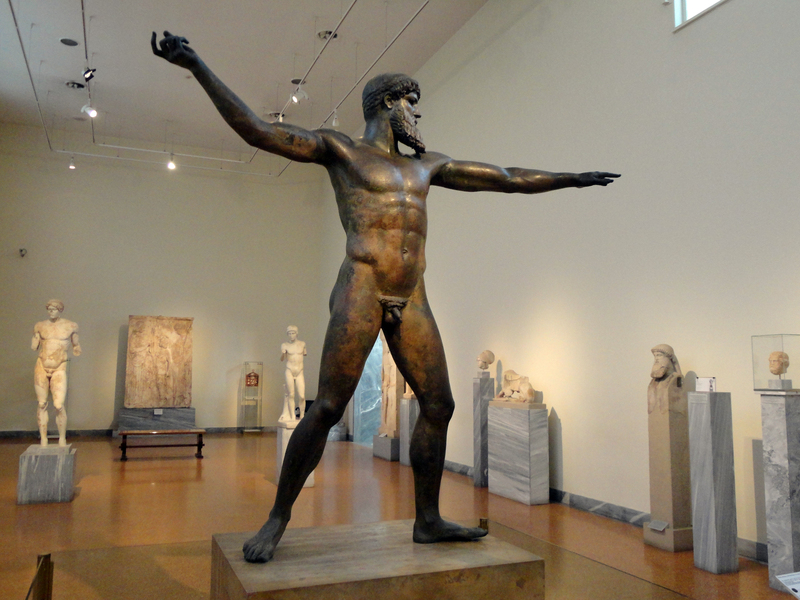 Most surviving Greek statuary is marble even though they worked extensively with the cast bronze methods of sculpture. The reason so few remain is most of them were melted down for ammunition at one point in time or another. A travesty for sure, so when one is found buried it is a huge deal. But it goes beyond that with this particular figure. The symmetry and grace of the lines of his form are truly god-like. And amazingly, he looks like he is about to chuck a thunderbolt (now long gone) and step off his plinth, a living, breathing thing. This was a huge achievement that was lost in art until Donatello and Bernini thousands of years later. When I walked into the room where he stands I got chills running down my back and I could have stood and stared at him for hours he is so magnificent. Congratulations! You made it from A to Z. You did a good job. I was waiting to see what you would do for X and Z.
I love that feeling when you walk into a gallery and some piece just blows your mind. I had that experience in the Dallas Museum of Art many years ago with Frederic Church’s Icebergs. I loved it so much I bought a lame poster and had it framed. It’s a pathetic little reproduction, but every time I look at it, I remember the Chill Factor (which in this case was literal as well as figurative). I didn’t realize about the scarcity of bronzes but it makes sense – recycling!